I’ll be honest – I haven’t quite mastered the juicer yet. I know I can overcome this fear, but whenever I think about the massive amounts of veggies I need to have on hand at one time to make sure I’m getting my fix, I realize I often fall short in the “visits to the grocery store” category. So, I’m signing up for a local Organic Foods delivery service (Go Greenling!) And until then, I will continue to buy a lot of my juices from Whole Foods or Central Market. But for those of you who have it down, here are some of the recipes I end up with, though it starts with all natural juice from the store (note they freshly make the juice themselves so it’s like I did it myself, just more expensive). Ahh, when will I learn?! So the good news is you don’t need a juicer to whip up refreshing and super healthy drinks. I’m starting a Juice recipes feature, all of which can be made in your blender—so no specialty equipment is needed. Because of the fiber in fresh fruit and vegetable purées, these concoctions vary in thickness: You can adjust to your taste preference simply by adding a little water. And no matter which juice you choose, you’ll get good-for-you benefits in every sip. Place all ingredients in blender and add a small amount of water. Add water in small amounts until desired consistency is reached. Note: to increase thickness to a smoothie consistency, add 1/2 cup Greek Yogurt or about 1 cup of ice and Dairy-free Milk of choice. Other great options are to add 1 banana or 1 whole avocado. « Are organic foods worth the higher price tags? Sounds like a great green juice recipe. 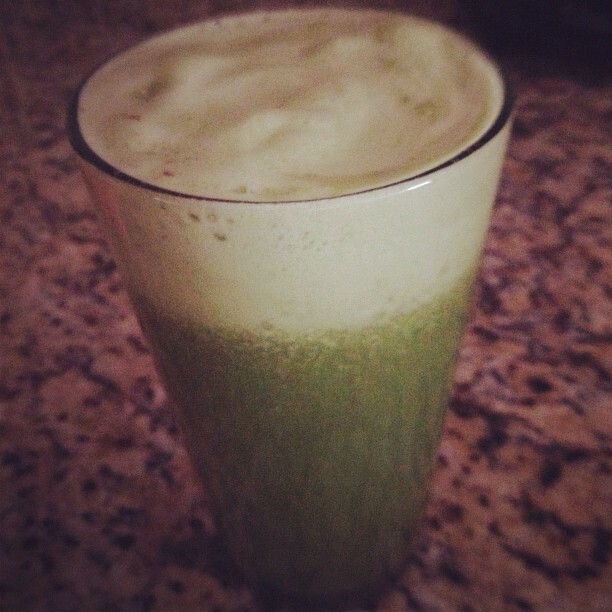 I had kale, dandelion greens, cucumber & apples today. This is one of my faves that I have almost daily 🙂 I find I don’t feel right if I don’t have a green juice daily, and I love the idea of dandelion greens! 1 Pings/Trackbacks for "Green Juice packed with an Iron punch"